We ate this on Tuesday and we are eating most of the rest of it tonight. We added some more kale and some pieces of turkey sausage so it would taste new. We even have enough left over from this to have it one day soon for lunch! 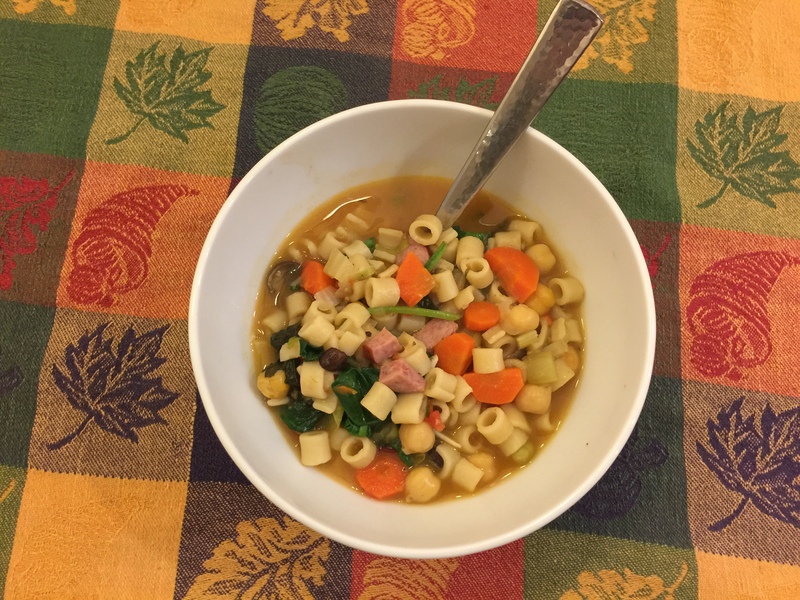 This entry was posted in leftovers, Legumes, Pasta, Poultry, Vegetables and tagged chickpeas, ditalini, smoked turkey sausage. Bookmark the permalink.